WHO WANTS A GIFT CERTIFICATE?? Want a chance to win a free gift certificate for $25? Leave your first and last name in a comment below, and on September 22, 2012, a random number generator will choose the winner! And the winner is!!!! : TOM WELCH. 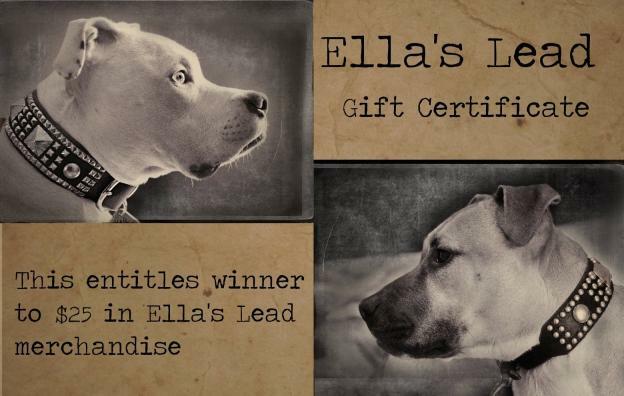 Please email us, Tom, at orders@ellaslead.com to receive your redemption code.